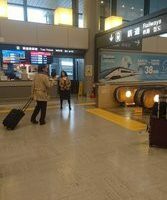 At the Airport, you may often feel wasting time while waiting for the departure time of airplane or train. What do you think you should do, and how do you spend your free time at Narita Airport? “Gacha” in the Narita International Airport has recently been featured in Japanese media – Insert coins into the machine, then you will get a key chain or palm-sized toy at random. There are 171 “gacha” machines and about 380 kinds of key chain or toy in Narita Airport at the minimum price of ￥300 at a time. 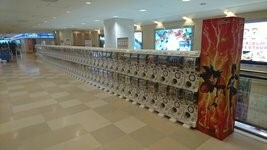 Number of tourists enjoy playing “gacha” by using leftover JPY coins. They play the “gacha” and bring key chains or palm-sized toys back to their home countries as a souvenir to their family or friends. Machines are located underground of Terminal 2 and on the 5th floor of Terminal 1. Located near the entrance of “SKY FOOD COURT” on the 5th floor, Terminal 1. 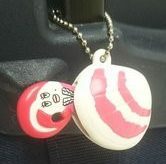 This is one of the characters of ZIP, the popular morning TV program in Japan. It costs 300 yen for once. Isn’t it cute? 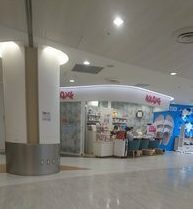 You can find two nail salons in Narita International Airport. Both are located on the departure lobby, the 3rd floor of Terminal 2 and 4th floor of Terminal 1. Those nail salons are famous for their popularity not only by Japanese people but also by customers from overseas. That is because the staffs have high skills, and many of them can speak English so customers can enjoy talking during the treatment. It depends on the content of the menu you choose, but seems to take about 1 to 2 hours. Especially for female, it will be a good idea to enjoy sightseeing with beautiful nails and happy feelings. 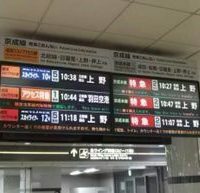 People who will return home can enjoy as well, by having a luxury time until the last minute of trip in Japan. The observation deck is a place where everyone can enjoy the scenery, not only the travelers. On a nice day, people will look at the plane flying over the blue sky and spend time eating and having a beer with the sun shining on them. Well, do you know there is a “hidden spot” besides the observation deck? 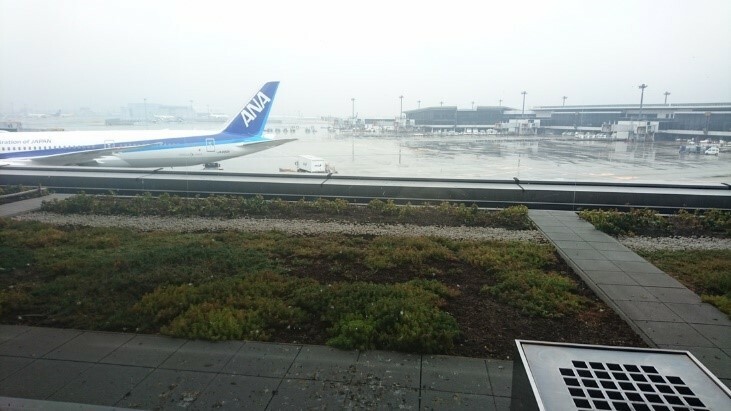 According to our member who worked at Narita, the view from the “smoking area” is actually good. Walking to the almost–corner of the departure lobby, South Wing, Terminal 1, you will find the smoking area.